Product categories of Hematite Jewelry, we are specialized manufacturers from China, Fashion Jewelry, Hematite Jewelry suppliers/factory, wholesale high-quality products of Magnetic Jewelry Beads R & D and manufacturing, we have the perfect after-sales service and technical support. Look forward to your cooperation! The name Hematite derives it meaning from the greek word for blood. The reason for the origin of hematite's name can be twofold. Even though it is shiny black on the outside, if you break the stone (not an easy thing to do!) you will see that on the inside hematite has a deep blood red colour. Another reason for its name might be related to the high iron content found in hematite (almost 70%), which made hematite a popular healing stone for blood-related disorders. Because hematite has been used for such a long time, it has a wide variety of healing properties ascribed to it, from relieving leg cramps to alleviating fevers. The best way to find out the powers of hematite is to buy a stone and experiment yourself. Hematite is abundant, thus very affordable. Hematite clearly has a very strong grounding energy; you can feel that just by holding the stone in your hand. It also has a cooling and calming effect, as well as helps develop concentration and focus. 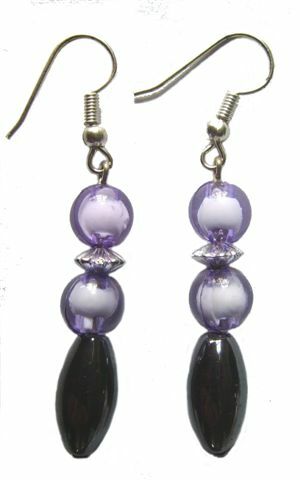 Overall, hematite brings a quality of energy that is powerful, strong and grounding. It works with one's mind by calming it and clearing the unnecessary clutter. 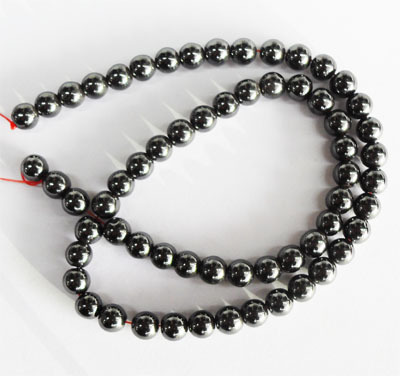 WHAT ARE THE SPECIFIC FENG SHUI PROPERTIES OF HEMATITE? In feng shui, hematite is used for its grounding, calming, as well as protective properties. 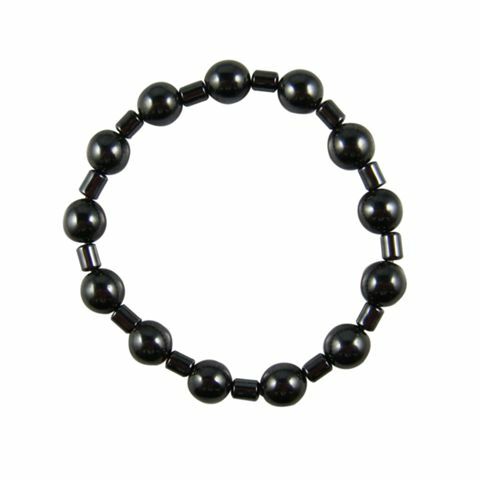 Hematite can also be energizing (in a balanced kind of way), so you can often find it in feng shui jewelry. WHERE DO I PLACE THE HEMATITE FOR GOOD FENG SHUI? The area of your home bagua that can benefit the most from the energy of hematite is the Career & Path in Life (North bagua area). You can also place the stone in the Creativity & Children bagua area (West). Hematite is also an excellent stone for one's study or home office, as well as by the front door of your house. WHAT FORM OF HEMATITE SHOULD I CHOOSE? The form will depends on what you want to use the hematite for. As with all crystals and stones that are quite affordable, it is good to have at least several tumbled rock hematites, because this way you can take them with you anywhere! From your car to your purse or office computer, you can place the hematite where it can help you with a burst of strong and cool, calming energy. 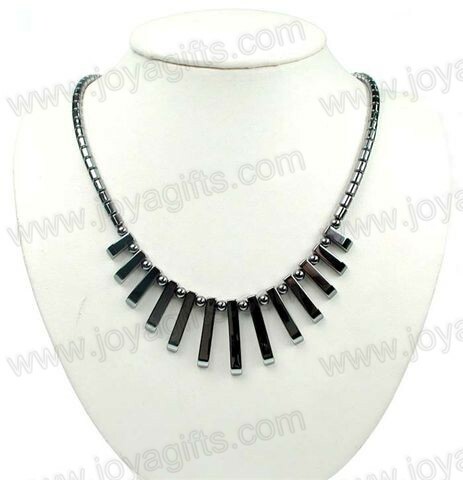 There is also a wide variety of various hematite carvings on the market, as well as, of course, Hematite Jewelry. When it comes to jewelry, buy from a good crystal shop to be sure your hematite is not artificially made (or you will not benefit from its properties). If you want to bring a hematite carving into your home (or office) for good feng shui, you can find many small animal carvings in typical gift shops. Choose an animal whose spirit you admire, combine it with the energy of hematite, and voila! - you've just got yourself a good feng shui cure!